This is a letter of recommendation for Realtor Joan Wachter, who helped me purchase a condominium in San Francisco. As anyone who has gone through the process of purchasing real estate can tell you, it can be a complicated journey. Through it all, Joan was knowledgeable, patient, and utterly professional. I particularly appreciated that Joan was in constant contact with my lender and escrow agent so that things moved along as smooth as possible. In addition, she took care of meeting the appraiser and the energy and water conservation inspector. Her attention to details gets high marks. I am pleased to provide my highest recommendation of Joan's services and am grateful to have worked with her. All we can say is, if you need a real estate agent that is looking out for your best interests, and is reliable, knowledgeable, and experienced, we highly recommend Joan Wachter. We have had nothing but excellent service from Joan Wachter. She is professional, courteous, persevering, and positive when working with her, and is available for you day or night. Joan Wachter is the best realtor we have ever had the privilege of working with. There are not enough words to adequately express our appreciation for the professional manner in which you handled the marketing and the sale of our home of 37 years – a transaction that was not easy – by any means. Your ability to perform under pressure and to handle each of the many challenges that you encountered throughout this transaction – is the mark of a true professional – as your focus never once wavered from providing us, your clients, with the best possible outcome for our situation. We made an excellent choice in selecting you as our agent, Joan, - and we are extremely pleased with the service that you provided us. Thank you, again, - and we hope that you will visit us often in our new home. Joan Wachter is an excellent realtor, and I recommend her without hesitation. She represented me in the sale of my townhouse during a tough real estate market. She was actively involved in every stage of the process - helping me to set a reasonable offering price, actively marketing the property, working with my Homeowner's Association to get repairs completed, evaluating offers, negotiating with interested buyers, and doing everything she could to facilitate the sales closing. She is a consummate professional. She is even keeled, works well with other brokers, hard working, diligent, and always responsive. She makes you feel like you are her only client. She was guided by my goals, not hers. Her experience shows in her patient manner during the sales process. She knew the market well and was a good advocate for the price we set. Never was she anxious to lower the price just to close a deal. I truly enjoyed working with her, and, most importantly, I trusted her. I always felt in strong, capable hands. I read the many positive reviews on Joan's website, and I strongly concur. You cannot go wrong with Joan. When it came time to sell the family home in Burlingame, we asked friends for recommendations and ended up interviewing three realtors. We chose Joan Wachter because of her wealth of experience and her common-sense approach to handling the details of preparing and selling a house that (although well maintained) had not been updated in the 42 years since it had been built. Our instincts proved correct! Joan was magnificent Â— knowledgeable about the peninsula housing market and about sparking the interest of prospective buyers, terrific at keeping us sellers calm during a time when the direction of the market was becoming less than certain. Her professionalism and praotical guidance were exactly what we needed. We can wholeheartedly say we made the right choice in working with her and following her direction. On top of all this, Joan was a pleasure to work with. We highly recommend her! I am writing to you to commend Joan Wachter for her dedication and professionalism. She has been our realtor for many years and for many transactions. It's because of her dedication, honesty and effort on our behalf that we have continued to associate with her for our real estate purchases and sales. Although she has represented our interests, she has worked well with other parties (if they were unrepresented) as well as their realtors. Her honesty and forthright demeanor has brought her many complements from all parties involved and makes us so very pleased that she has represented us. Her ability to listen and then act refines her abilities to find the best results for any request which we have asked of her. We consider her more than just a business associate; we consider her a friend. Jeff and I wanted to thank you for all of your help during our recent home buying experience. Your commitment, strong communication and concern for our well being helped this very stressful experience be as smooth as could be. Even when things got really intense, your professionalism never wavered. You helped us get our family into our first home and we are so happy with our new place! We truly appreciate all that you did for us and would recommend you to any of our friends should they need a realtor! Please accept my grateful appreciation for the wonderful job you did for me recently when I sold my condo at Corte Bella in San Mateo. You made the selling process as painless as possible for me before, during and after the sale. Your pleasant demeanor - along with efficient and pertinent advice - added to your high standards of quality professionalism throughout. Thank you very, very much for your help. I heartily recommend your realtor services to any prospective client without any hesitation at all. Thank you very much for your excellent work in helping us sell 12 Elmwood Drive! I especially admired the way you worked all of the potential buyers into a frenzy so that we received so many great offers on the house. It was also a constant source of comfort to know we were working with an agent who we could trust to the utmost. Good luck with your future transactions. I hope the market stays hot and you receive lots of leads for new clients from our old neighborhood. Thank you Joan for all your help and advice with finding the perfect first home for us. WeÂ’re grateful for your insight, your lightening-quick maneuvering, and your counsel. You zeroed in on a place that had the room and comfort we were looking for in the right area at the right price, and you made it happen. You guided us seamlessly through the offer and closing, and helped us with everything else: you worked with our mortgage broker to get the paperwork where and when it was needed; you had recommendations for everything, from paint and carpet, to an electrician and handyman, to someone who could install our water heater immediately and at a great price! YouÂ’ve been more than helpful every step of the way, beyond what we expected. Thanks again for your savvy and wisdom. We will surely recommend you to our family and friends. And weÂ’ll call you when weÂ’re ready for the next place. Joan Wachter, a realtor with Coldwell Banker, is an outstanding realtor! I highly recommend Joan for whatever may be your needs regarding the purchase or sale of real estate. Joan Wachter represented me in both the purchase And the sale of my waterfront home in Foster City, Ca. I began working with Joan when I was looking to buy a high-end waterfront property. Joan worked very hard for me in locating potential properties and then showing me the ones that she thought may be of interest to me. She located a magnificent waterfront property for me in Foster City, and was successful in closing the deal. When I decided to sell this magnificent property, I once again worked with Joan and she listed the property for me. She worked very, very hard in marketing this property, and was again successful in closing the deal. It has been a privilege working with Joan on both the purchase and the sale of this property. Not only is Joan an outstanding agent, but she possesses many excellent qualities that make it such a pleasure to work with her. Regardless of whether one is purchasing or selling real estate, it is a very difficult task and it is also very emotional. Joan addresses all of the difficulties arising out of the purchase or sale of real estate. Joan is understanding, patient, caring, pleasant and is calm when everyone else is in a panic. It is my pleasure to give Joan Wachter the highest recommendation possible. I could not give a higher recommendation to anyone other than that which I give to Joan. Joan is an outstanding realtor and an outstanding individual. Joan Wachter worked with my husband and me in selling our property in Millbrae. From our first contact with Joan, we found her to be very professional, honest and hard working. JoanÂ’s expertise and knowledge in real estate made us feel at ease and the process of selling our property run smoothly. She communicates with us in a very timely manner and is always available to answer our questions and resolve issues. Joan has earned our confidence, trust and friendship through the experience of selling our house. We would highly recommend Joan as a realtor. This letter is to convey my sincerest recommendation of the services of Joan Wachter. I found Joan after a friend of mine, also a satisfied customer of hers, recommended her to me upon learning of my need to find a trustworthy and motivated realtor. Of the four realtors I interviewed with before selecting Joan for the job, Joan was the only realtor to show up with a prepared and professional sales package describing her services and her company as well as a complete synopsis of the housing market I was attempting to sell in. Joan was also the only realtor to follow up our interview by keeping her commitments regarding action items discussed in our first meeting. As it turns out, Joan Wachter not only met but also exceeded my expectations. In addition to meeting my needs, she was there for every phone call, for every concern and to baby-step me through the process. All of the above, to me, exemplifies salesmanship and how simple and pleasurable selling a house should be. As you consider whom to sell your house with, please consider JoanÂ’s track record and happy clientele. 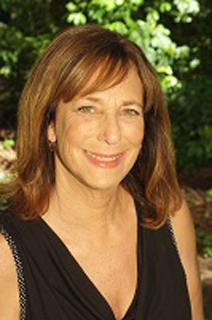 Joan Wachter made the entire experience of selling my home so pleasant, easy and do-able. It was a smooth transaction from the point that I decided to sell. You listed the property, found a buyer, acted as a negotiator, arranged for me to have a place to stay until I was able to find a new place to live. To be very honest, I never thought about the belongings I had accumulated over the past 25 years and also as an owner I hadnÂ’t had to go looking for a place to store my stuff and live, but lo and behold, there was Joan Wachter to the rescue. People tell me that there are still good souls in this world, and believe me, after the speedy and professional way Joan handled all the paper work (explaining everything) and completed the other duties involved in a real estate transaction, Joan made sure that both parties got what they wanted and went away Happy. Joan Wachter was great and most of all there was no stress at all to either party in the transaction. Through this transaction I got to meet a Â“ONE IN A MILLIONÂ” human being. I highly recommend Joan Wachter to be your real estate agent! If there were more people in the world like Joan this world would be a much better place. Joan Wachter handled the sale of our San Francisco home in an exemplary manner and we do not hesitate to give her our highest endorsement. The sales strategy that she planned and executed resulted in our gaining a six figure increase above the price we had originally set in mind. In addition, and in many ways more importantly, she accomplished her work with a sensitivity to our circumstances that was remarkable and truly heart warming. Ms. Wachter is a consummate professional. Joan Anderson Wachter is a spectacular real estate agent. She gives 110% to her clients. She is readily available and always returns calls promptly. As an experienced agent, she brings superior negotiation skills and fabulous marketing ideas to the table together with a warm personality, honesty and integrity. I highly recommend Joan Anderson Wachter to anyone needing the real estate services of this top agent!